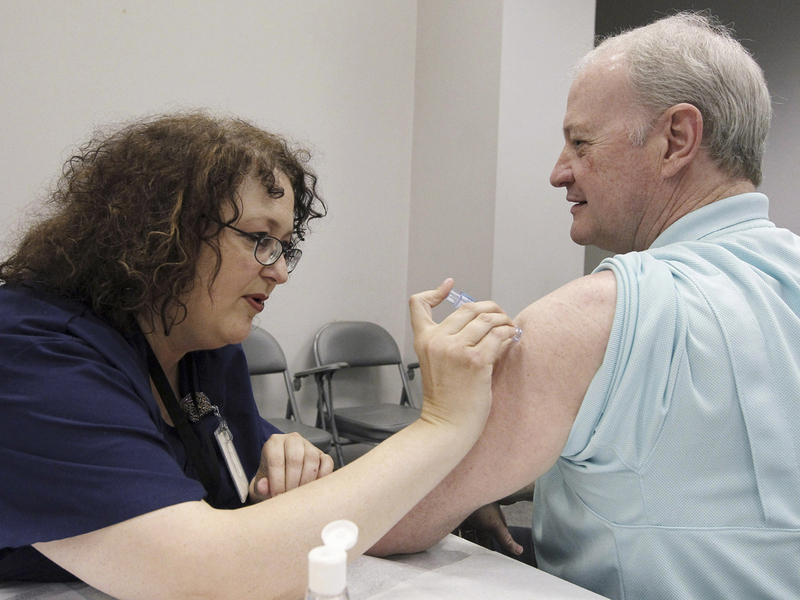 CHICAGO Patients can refuse a flu shot. Should doctors and nurses have that right, too? That is the thorny question surfacing as U.S. hospitals increasingly crack down on employees who won't get flu shots, with some workers losing their jobs over their refusal. "If you don't want to do it, you shouldn't work in that environment," said Caplan, medical ethics chief at New York University's Langone Medical Center. "Patients should demand that their health care provider gets flu shots  and they should ask them." Mandates for vaccinating health care workers against other diseases, including measles, mumps and hepatitis, are widely accepted. But some workers have less faith that flu shots work  partly because there are several types of flu virus that often differ each season and manufacturers must reformulate vaccines to try and match the circulating strains. Several states have laws or regulations requiring flu vaccination for health care workers but only three  Arkansas, Maine and Rhode Island  spell out penalties for those who refuse, according to Alexandra Stewart, a George Washington University expert in immunization policy and co-author of a study appearing this month in the journal Vaccine. As for the current flu outbreak itself, Dr. William Schaffner, professor at Vanderbilt University and past president of the National Foundation for Infectious Disease, spoke to Anthony Mason and Margaret Brennan on "CBS This Morning" about what we can expect looking forward. "The flu will be with us for another six weeks," he said. "If you haven't had the flu vaccine, go out and get it, but don't linger. And you may have to shop around a little bit to find it." Schaffner recommends using the Center for Disease Control's flu vaccine locator website, to find out where you can get vaccinated in your area.